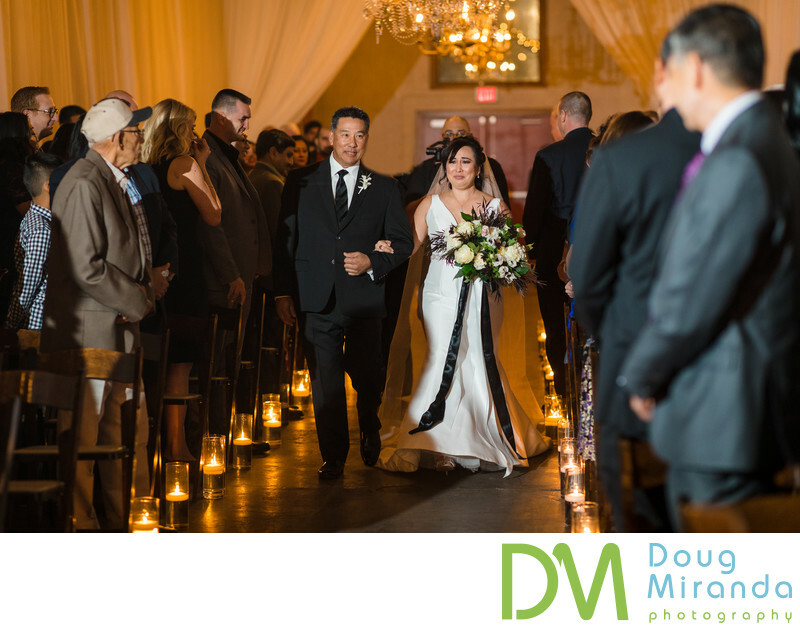 Lisa and her dad are pictured here walking down the aisle to start off the wedding ceremony and her new life with TJ. Lisa is crying as she walks towards TJ at the end of the aisle. There is always so much detail going on in these photos. with smiling dads and crying brides and the facial expressions of guest as the look on.